An aerial view of Hawker Tennis Centre in 1996. Photo: Supplied by Tennis ACT. 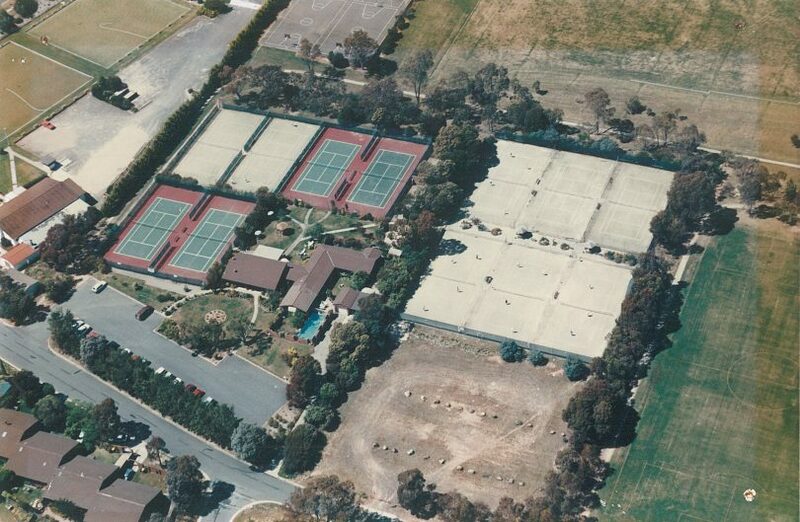 What once was a hub of tennis in the Canberra region, is now laid to waste after a fire at the Hawker Tennis Centre on Thursday night (25 October) gutted the facility. Tennis legend Bruce Larkham, who was recently inducted into Tennis ACT Walk of Fame, bought a block of land in Hawker when the suburb was being established back in 1976, and he and his wife Stephanie built the tennis centre to benefit the growing Belconnen area. Their sons Todd and Brett Larkham grew up at the facility and played there for most of their junior careers. Todd said the club was a huge part of his life and helped him develop into the coach he is today. “My brother and I grew up there and lived onsite with Mum and Dad. Living at a sporting facility was a quite a unique thing and we grew up playing tennis every day and Brett and I went on to work in the shop and coached kids there for a number of years. After Todd retired from professional tennis, he went back and ran the centre for several years in 2004. Having lived there since he was a toddler to when he went on the tour as a 21-year-old, his whole childhood was spent at the centre. Todd, who won the ACT high-performance coaching prize for 2018 and is currently coaching young guns Annerly Poulos and Charlie Camus, said the centre had seen an abundance of aspiring tennis players walk through the door. Todd drove out to the abandoned centre on Friday morning (26 October) to survey the damage, with the clubhouse totally intact but the house itself extensively damaged. An ACT Policing spokesperson said police attended the scene and are investigating the incident. Anyone with anyone with information is urged to contact Crime Stoppers on 1800 333 000, or via the Crime Stoppers ACT website. Information can be provided anonymously. Wow trained there soo many years ago! Josh Everson the memories.....remember the lollies! !